4321 FILMS -- Home of MONSTURD and RETARDEAD! 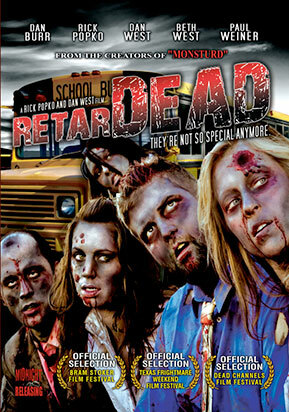 RETARDEAD Filmmakers to Appear at Texas Frightmare Weekend! "Monsturd Used to Flush $10 Million Dollar Bond Initiative!" CONTENTS OF THIS PAGE © 2002-2009 4321 FILMS. ALL RIGHTS RESERVED.